The "I Am Here For You Movement" is about preserving families and marital relationships in the US and in all parts of the world. The Family Unit is the basic building block of society. The first step of creating a family is through marriage. However, due to the widespread occurrences of divorces and infidelity that we often hear about in the news or have witnessed from other relationships, separation and individuation become the normal and acceptable consequence. Adding on to this is the current economic downturn. When day-to-day living becomes a burden, couples and families break apart under the crushing pressure. The easiest way to get a society to fall apart is to first break apart the family unit. A marriage lawyer said, "Married adults now divorce two-and-a-half times as often as adults did 20 years ago and four times as often as they did 50 years ago... between 40% and 60% of new marriages will eventually end in divorce." 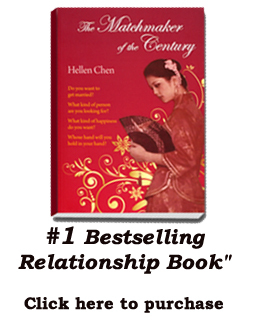 Together with Barnes and Noble, matchmaker and family expert Hellen Chen is launching a campaign to reverse the trend of declining marital and family values. 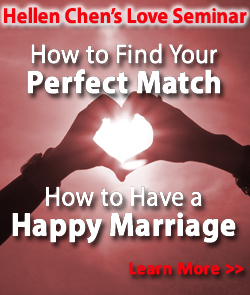 As part of the "I-am-Here-For-You Movement", Barnes and Noble has agreed to offer a 35% discount on the marital book "The Matchmaker of the Century" on Oct 3rd Wednesday to those who would like to read about how to create a stable marriage and how to overcome the obstacles of a meaningful relationship.